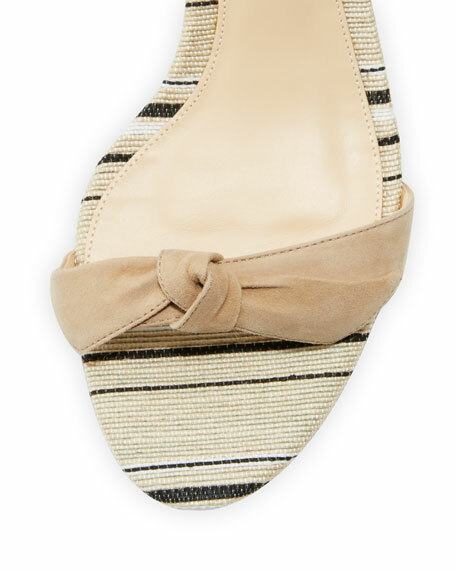 Alexandre Birman kid suede and linen sandal. 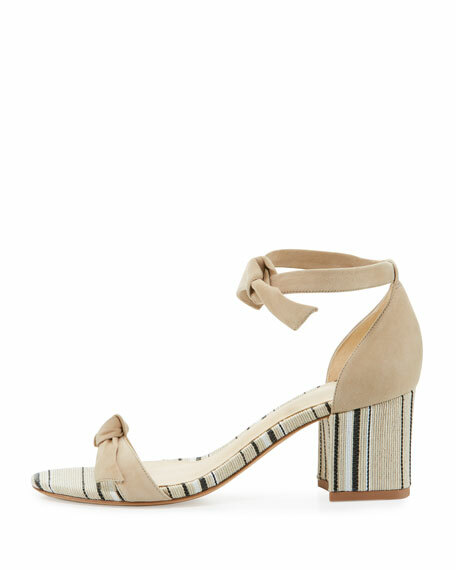 2.4" striped fabric block heel. "Clarita" is made in Brazil. For in-store inquiries, use sku #2037461.